Glengyle distillery is a distillery, founded in 1872 by William Mitchell[disambiguation needed] and completed in 1873. Mitchell had previously been involved with Springbank Distillery but following a quarrel with his brother John, with whom he owned Springbank, he first joined his other brothers at Reichlachan distillery before venturing out on his own. Production at the new Glengyle distillery began in 2004 with the first spirit expected to be ready by 2014. 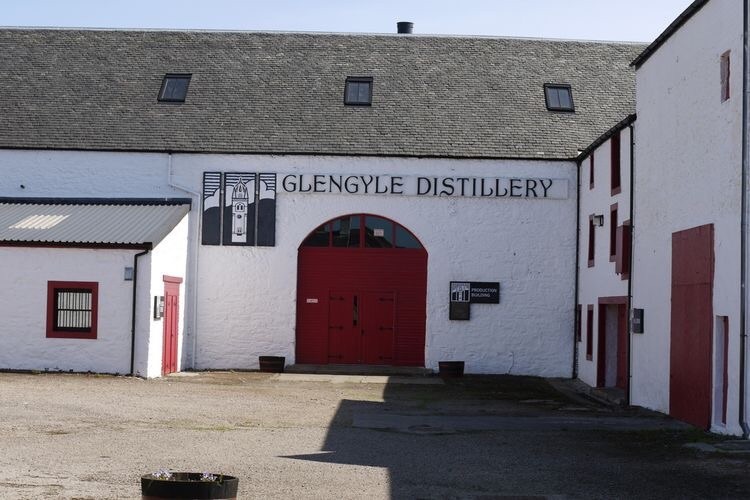 Glengyle is the first new distillery of the millennium and is part of a trend in new distilleries which include Arran (1995), Daftmill (2005) and Islay’s newest distillery, Kilchoman (2005). The whisky from the new Glengyle distillery will not be called Glengyle, rather it will be bottled under the name Kilkerran. This is because the name is owned by Loch Lomond Distillers, and used for their vatted malt. The name Kilkerran comes from the Scottish Gaelic: Ceann Loch Cille Chiarain (“head of the lake of Saint Kieran’s cell”), the name of a settlement where Saint Kieran is believed to have had a religious cell and where modern Campbeltown stands today.